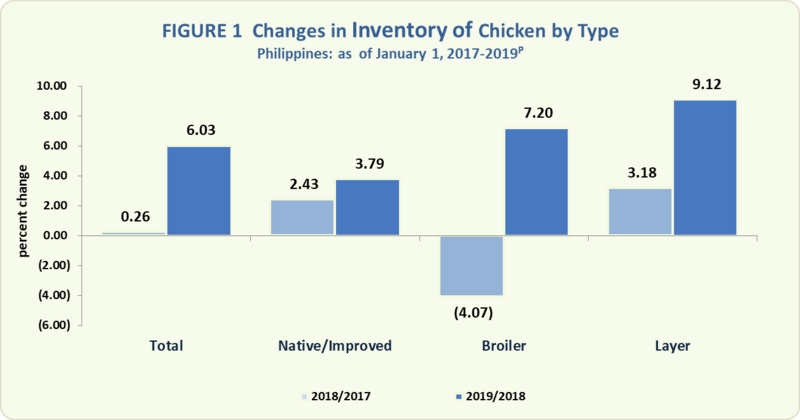 As of 1 January 2019, the total chicken inventory was estimated at 186.37 million birds. It went up by 6.03 percent compared with the previous year’s record of 175.77 million birds. All the three types of chicken exhibited increases in inventories with layer chicken recording the highest at 9.12 percent. Broiler and native/improved chicken had respective growths of 7.20 percent and 3.79 percent.